Article > Articles > One-Panel vs Sectional Garage Doors: Which One Is Best? 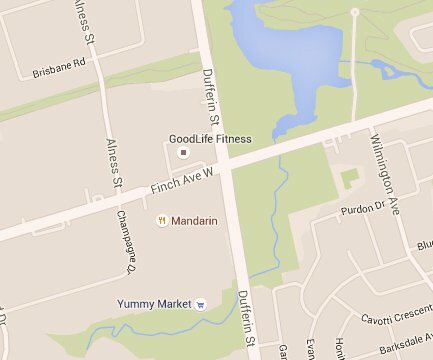 What is the one-panel garage door? One-panel garage doors are also known as single panel doors or up-and-over doors. In fact, their names are derived from the way they move which is also what makes them so special. Now, before we jump to that let us point out one more unique feature. 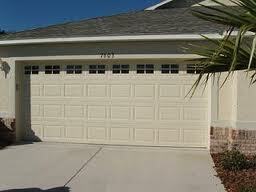 As you have already guessed or know, single panel garage doors consist of one slab. It makes perfect sense. Since there is only one panel, the door swings out first before it moves up and over the car – hence, the name. 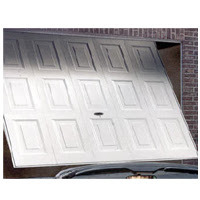 What is the sectional garage door? Sectional garage doors are multi-paneled. They usually have three or more horizontal panels, which are hinged together. And so when they open, they devour vertical space little by little as each panel is bending following the route all the way across the ceiling and over the car. Each panel is hinged at the side through the garage door rollers which are secured on the panel and run through the tracks. The appearance of one-panel garage doors is appealing. They have nothing to be jealous of their sectional door counterparts. If you want a short raised panel door, you can find it. The only drawback here is the limited range of design possibilities due to the lower demand compared to sectional doors. They are two or even three times cheaper than sectional doors. But since they need more maintenance and they are susceptible to damage, what you gain with the initial lower garage door prices you lose with future services. Since they swing outwards before they move upwards, one-panel doors need sufficient space outdoors. And you cannot park too close to the garage door. 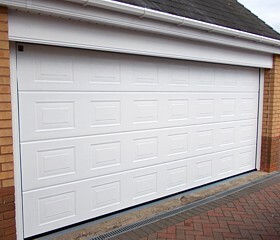 Unlike sectional doors, up and over ones are attached to one single point and this make them more prone to damage. Due to the way they open, single panel doors can easily injure people standing by the door or damage cars parked close by. Since each panel is hinged to the garage door tracks via the rollers, sectional doors are very durable. In fact, there are low gauge steel tracks and brackets on the market that can reinforce the durability and thus resistance of the door. Sectional doors are extremely beautiful since they come out in all sorts of designs, styles, and colors. They often feature windows and with the right hardware, they resemble the traditional carriage doors with the advantage of the overhead garage door operation. There is no ending to the designs and styles of sectional doors. Since they are very popular, there is a vast array of choices ranging from flush and carriage house to wood, glass, and raised panel garage doors. In contrast to their one-panel counterparts which are not always electric garage doors, sectional doors are driven by an opener. And today the opener industry has progressed enough to offer products with many security and safety features. The only disadvantage of sectional doors is their higher price. But then again, the cost depends on their size, material, design, and whether or not they are insulated. Single panel vs Sectional garage doors: which one is best for you? Both garage door types have the pros and cons. Clearly, sectional doors outperform one-piece doors in many aspects and this explains their popularity. All the same, the choice is always yours. One thing you should pay attention is the available space at your garage. Once that is settled, you are good to decide.